“This is the End” is a film of mixed genres, incorporating both horror and comedy to tell the story of the apocalypse. This film, which was released in summer of 2013, was considered a commercial success when it was released to theaters. It was also popular among film critics. This film was written by Evan Goldberg and one of the film’s stars, actor Seth Rogen. 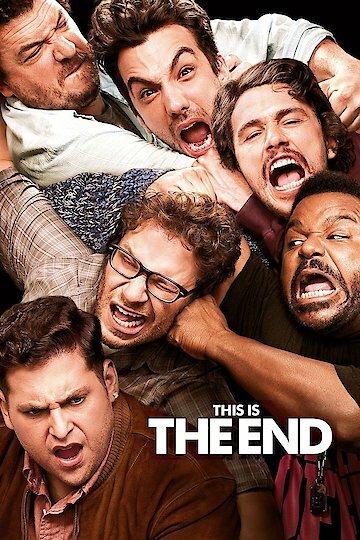 “This is the End” also stars James Franco, Jonah Hill, Danny McBride, Craig Robinson and Jay Baruchel. All these actors are friends in real life and chose to make the film together. Emma Watson, Michael Cera and Rihanna also made guest appearances. Each actor plays a fictionalized version of himself. The film begins with Jay Baruchel arriving at the airport in Los Angeles to be picked up by Seth Rogen. Seth invites his friend to a party hosted at James Franco’s house. At this crazy party things take a dark turn when apocalyptic events occur. The actors create a plan to stay alive. Both writers, Rogen and Goldberg, claimed that they had envisioned this film for years. They both liked the concept of actors playing themselves. They also based the concept of the movie on a short film they had created in 2007. Both writers claimed to have been inspired by Charlie Kaufman and reality television. “This is the End” runs at 106 minutes. The film’s original budget was 32,000,000 dollars but at the box office it made 104,647,917 dollars. On opening weekend, it was the second highest-grossing film. This Is the End is currently available to watch and stream, download, buy on demand at FX Networks, FX+, FOX, Amazon, Vudu, Google Play, FandangoNow, iTunes, YouTube VOD online.